Today we announced the Microsoft Data Warehouse appliance from HP called the HP Business Data Warehouse (BDW). 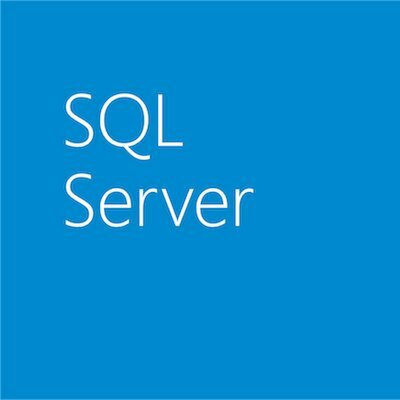 This is the third SQL Server appliance, following the releases earlier this year of the HP Enterprise Data Warehouse and the HP Business Decision Appliance. The BDW appliance is 4U in size and architected, pre-tuned and pre-configured to run a data warehouse workload for solutions aimed at 5TB databases or less. And by leveraging new features in SQL Server 2008 R2, we were able to optimize the appliance deployment experience. From plugging in and powering up to a running SQL Server takes a little over 10 minutes! (Installation time will vary based on customer’s environment). The appliance is based on the Fast Track 3.0 Reference Architecture and is designed for maximum performance – particularly for sequential reads which are important for data warehouse queries. The appliance has 96 GB of RAM and dual Intel Westmere processors for a total of 12 cores which provide plenty of horse power for CPU intensive queries. Storage is crucial for any data warehouse and the appliance contains 24 hard drives which provide tremendous performance and reliability. The OS is on mirrored 300GB drives. The other 22 drives are 600GB, with 6 mirrored data LUNS, 4 drives configured for RAID10 for the logs files, a 3 drive RAID 5 staging area and 3 hot spares all providing full onboard redundancy. This provides 2.3 TB of usable raw user space for data, and factoring in compression can hold databases of up to 5 TB in size. The compressed capacity will vary depending on customer’s data, but using a 3.5x compression ratio the theoretical max database size for the appliance is around 8 TB. We spent a lot of time with both HP and the Microsoft Fast Track team to optimize the performance of the software and hardware. The end result is that we were able to boost performance in some areas by over 90% over the off the shelf components in our initial design. · What do you want your Windows administration password to be? · What domain to join? · What account can I use to join the domain? · Which domain user should be made local Administrator? After the installation completes, the optimized SQL Server instance is up and running with all the storage configured, disks formatted and appropriate Fast Track 3.0 compliant mount points built, ready for you to create your database and begin importing data. Did I mention installation takes a little over 10 minutes? For more information visit the HP Business Data Warehouse page on Microsoft.com. And be sure to check out the video below to get a glimpse of the new HP Business Data Warehouse appliance. Microsoft’s Dana Kaufman from the SQL Server Appliances Engineering Team provides a first look at the new HP Business Data Warehouse Appliance.